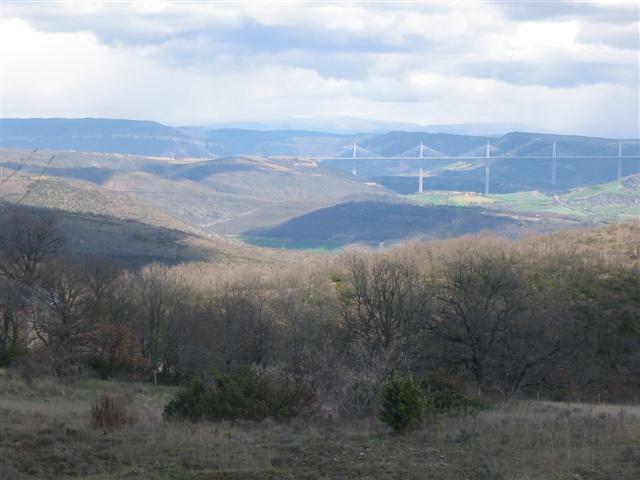 Walking or cycling holidays starting from Millau. 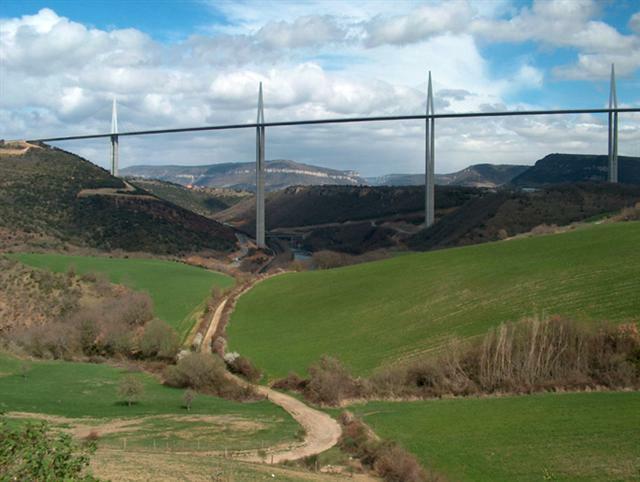 La Ligne Verte offers 4 to 14 day stays around the Viaduct of Millau. To combine a visit to the viaduct with a few days ** or *** inn to inn walking or cycling you need 4, 5 or 6 days. 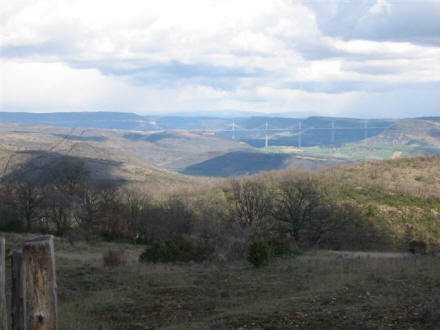 If you prefer staying some days in the surroundings of Millau in a luxury gite with swimming pool that is possible too. If you have got more time to spend La Ligne Verte offers longer hiking tours. Any short stay can be custom made. In all cycling tours you will pass under the viaduct. See our cycling pages. As with all other tours of La Ligne Verte you'll spend 90% of the walk on single tracks and unpaved roads. Villages you will pass are small villages with up to 800 inhabitants. 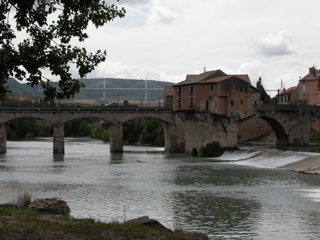 Millau is a town with 23000 people, St.Affrique is a small town with 9000 inhabitants. In between the villages, with the necessary stores, you will pass farms but will need to take your lunch with you. The hotels can provide a take away picknick. You will walk 3 to 4 kms per hour. Insects : the film Microcosmos about insects has been turned here on the slopes of the Tarn Valley; praying mantis, stick-insects, you'll find them here along with many others. A very interesting insect-museum can be visited at 20 km from Millau: Microcosmos.